Running a successful online enterprise involves more than just product development, marketing, and customer service. It’s also critical that your website provide a solid foundation for both running and scaling your business. You are not an expert in web hosting, and you probably don’t have an engineer to optimize your server or fight off cyber-attacks. Tending the back-end of your site requires time and technical expertise. But none of that matters if you partner with a Managed WordPress Hosting solution that can manage your site’s uptime, security, performance…and more. 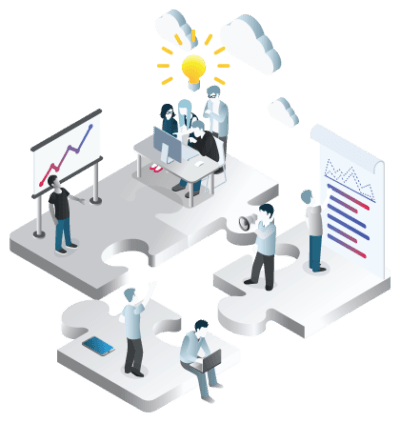 Entrusting your site to a team of dedicated technology experts can help you get back to doing what you do best: growing your enterprise. Read on to discover what Managed WordPress Hosting can do for your business and some of its key advantages. Managed WordPress Hosting is a web hosting solution tailor-made and optimized specifically for WordPress sites. Managed WordPress hosting ensures your site always runs smoothly. It’s like having your own personal tech team, removing the need to manage your site in-house. Shared hosting is a popular option for businesses just starting out online. When you sign up for a shared hosting service like GoDaddy or HostGator, your site goes onto a server along with hundreds, if not thousands, of other websites. This means you’ll share space on the server with every other customer. And you’ll share resources critical to your site’s responsiveness, including CPU time, memory, and disk space. The best way to describe shared hosting is that it’s like living in an apartment building. Each resident has their own apartment, but everyone shares things like the hallways, elevators, stairwells and garbage collection. Shared hosting is the most economical option for new businesses, with some hosting companies charging as little as $2.95 a month. But you get what you pay for. What does that mean for your business? It means your hosting package will come with strict limitations on server space and bandwidth. Shared hosting usually doesn’t guarantee security and it’s nearly impossible to scale. VPS hosting, or Virtual Private Server hosting, is like shared hosting because your site shares a server with other sites. However, there are fewer sites on the same server compared to the shared hosting option. The server is also partitioned into different virtualized server environments. Unlike shared hosting, WordPress VPS Hosting usually provides baseline guaranteed resources. You also get additional resources at a moment’s notice should your site experience a spike in traffic. VPS hosting is like living in a condo. While you share the same building with others, you are typically responsible for the maintenance of your property and any repairs inside your unit. Plus, there are fewer residents overall and the walls are thicker between living spaces. 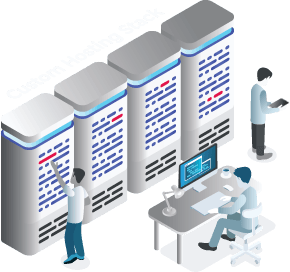 This type of hosting is more expensive than shared hosting, with prices ranging from $20 to $100 per month depending on the web host you choose. For that increased fee, you’ll enjoy a website that is scalable, faster, and more secure. With this option, however, you often have to take care of all the technical aspects of managing your site yourself or hire someone who can do it for you. Managed WordPress Hosting is designed specifically to handle WordPress. In other words, it provides optimal technology to support WordPress websites. 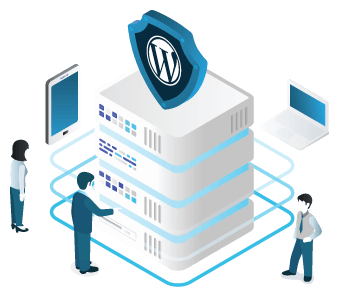 Partnering with a managed WordPress hosting company takes care of all the technical aspects of hosting for you – including security, performance, and other factors. Managed WordPress Hosting is particularly well-suited to large and enterprise-level businesses due to its superior security and high performance. Having Managed WordPress Hosting is like living in a single-family house on a large property. You never have to share your home with anyone else, and you have cooks, gardeners, and other staff on hand to ensure that your property is always perfectly maintained. Plus, your home always contains the latest devices to take full advantage of the internet of things. Managed WordPress Hosting prices vary, with plans ranging from $25 to $2,000 per month depending on the hosting company you choose. Businesses invest in this because they understand that the benefits of the service far outweigh its costs. These enterprises save time and money because they never have to pay for dedicated engineers to manage their sites. Partnering with an experienced host also improves site performance, further bolstering the bottom line. 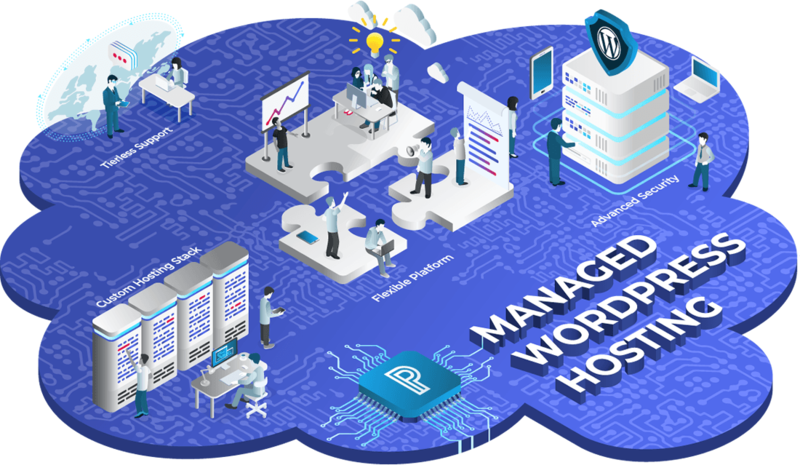 Pagely has been an industry leader in Managed WordPress Hosting since launching the first managed hosting service in 2006, and Pagely has maintained its place as a managed WordPress hosting market leader in innovation, speed, scalability, and security. Today, Pagely has thousands of clients who put their trust in the company’s forward-thinking infrastructure. Related: What is Managed WordPress Hosting? It’s not unusual for small businesses to start with shared hosting. Similarly, many large enterprise businesses opt for VPS hosting. While both options are decent choices for WordPress sites, there are some fundamental benefits only managed WordPress hosts can deliver. Site availability and server uptime are crucial for any online business. When your site generates 100 percent of business revenue, any unexpected downtime means lost sales and lost productivity. Also, it can damage your brand’s reputation and negatively impact your site’s visibility to search engines (also known as Search Engine Optimization). Typically, web hosts guarantee 99% uptime. Unfortunately, this doesn’t mean you’ll actually get 99% uptime. But when you partner with a managed WordPress host, even with an entry-level account, you’ll receive a vastly superior level of uptime and availability, regardless of hardware failure, the weather, power outages, or even disgruntled IT staff. For example, to ensure maximum uptime, here at Pagely we provide two different layers of uptime monitoring. If anything is detected that could translate to downtime, the entire support team is notified. In the vast majority of cases, we identify issues and fix them before downtime can occur, so issues are corrected before customers are even aware of them. We also receive proactive notifications if you get close to your resource limits, and run tests after updates to check that all sites are still up. If a problem from a plugin update is found, we automatically rolls back the update. For enterprise websites that need maximum uptime, it might be best to choose a host that provides high-availability architecture that spreads the workload over two or more servers in different zones. This approach reduces the risk of an outage during maintenance events, unforeseen outages, or traffic spikes. 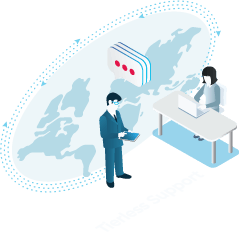 When you start a live chat or speak to customer support by phone about an issue with your website, you want to talk to someone who can solve your problem immediately. Shared and VPS hosts may offer more affordable services than Managed WordPress Hosting, but when you run into an issue such as an attack on your site or unreliable uptime, it could take several days of emailing back and forth just to get your service provider to investigate the issue. Meanwhile, you could be losing thousands of dollars in sales. Expert technical support starts with the people manning the support lines. Look for a host that employs a passionate and exceptionally skilled group of engineers who know how to apply technology to solve big problems. Typically, on the company’s About Us page, you can get a feel for the types of employees you’ll run into when you contact support. Inquire about things like level-one phone operators reading a script, some hosting companies pass you off to operators like that, others don’t (think about which you prefer). It’s best to speak immediately with bona fide engineers to help you manage your site and solve your problem the first time. A reputable and experienced Managed WordPress Hosting company invests in their technology. They use a modern hosting stack and fine-tune it to handle the demands of WordPress, providing their clients with unparalleled speed and performance. Some superior stacks, like ours at Pagely, are built on Amazon Web Services. This allows the customer to leverage a nearly infinite amount of resources and advanced tooling. These resources and tools allow your host to support and scale WordPress applications as necessary. Using load-balanced clusters from a pair of nodes to a cluster of 10+ machines, you’ll get the same fully managed WordPress experience across a robust, scalable stack. This allows your host to carry massive amounts of web traffic without sacrificing performance. And it does this all while providing developer flexibility other managed WordPress hosting solutions don’t offer. In addition, with access to AWS customers can access 13 global data centers around the globe. What you’re looking for are the fastest, most flexible hosting environments through things like routing, intelligent caching/acceleration, security, and configuration flexibility. A Managed WordPress Hosting plan provides an easy way to update the core WordPress application and and needed plugins. Keeping the software that powers your site up-to-date is critical for the security, performance, and compatibility of your site. A well-managed WordPress host may run auto-updates for you. But an expertly managed WordPress host will keep your software up-to-date and actively monitor how updates impact your site through tasks like automated tests to make sure your site is still running smoothly after every update. Shared hosting packages typically don’t offer any assistance if your site falls victim to a cyber attack or if you encounter malware problems. Secure WordPress hosting is perhaps the biggest incentive for moving to Managed WordPress Hosting. When you partner with a managed WordPress host, routine software updates and a specialized hosting environment mean your site is better guarded against hackers, bots, and other security concerns. And you can expect regular security checks and malware removal. A good hosting reputation will prove outstanding security for its clients. If a host can boast that they’ve experienced a single serious security incident, you’re in good hands. A robust suite of security services is a comprehensive security architecture that hardens and protects a network, hardware, and WordPress applications with a focus on prevention and the mitigation of risk to clients. For base level security, your host should use a dynamic web application firewall (WAF) that blocks code injection attacks, known exploits, and rate limits access attempts. This greatly reduces the success of a distributed denial of service attack or a brute force attack. They should also practice real-time system malware scanning, constantly looking for things like trojan horses, viruses, worms, keyloggers, spyware, and adware. The Domain Name System (DNS) is, essentially, the phone book of the internet. When you enter a domain name like pagely.com into a web browser, the browser uses DNS to translate the domain name into an Internet Protocol (IP) address, which tells the browser where to get the desired webpage. When you’ve invested so much in your site, you don’t ever want your domain names to go offline. This is why investing in a premium DNS provider is a must. But typical shared or VPS hosting packages, and even most Managed WordPress hosts, don’t offer premium DNS. However, there are options where you’ll enjoy the benefits of a DNS system backed by Amazon’s Route53 service. This service answers DNS queries faster by using a global network of DNS servers. If your team wants to be hands-on with your server environment, Managed WordPress Hosting provides developer-friendly tools that you’re unlikely to get with most shared hosting plans. You get tools like SSH, staging, GIT and WP-CLI, in addition to basics like SFTP, database access, and error/access logs. In addition, you receive support for customer PHP extensions including New Relic, system crontab access, and more. If it’s important to you, look for integration with the WordPress REST API. A Partner API would be useful for customers who want to integrate their host into their workflows to quickly spin up new sites under their hosting account. The ability to quickly clone your live site and test your changes is hugely beneficial so you can also push updates back to your production site using your own workflows. WordPress scalability, the ability to quickly handle and adapt to sudden changes, is critical for any online enterprise. If a celebrity endorsement drives more customers to your site, the unexpected increase in traffic will require more resources. As your business grows and your site gains more traction, you’ll require additional website resources to keep things running smoothly. You’ll also to need to be able to collect customer data efficiently. If you haven’t equipped your site to scale fluidly, it could crash. And any unexpected downtime could lead to lost sales and damage to your brand reputation. Choosing the right Managed WordPress Hosting plan can help safeguard your business against this kind of catastrophe. Strongly consider choosing a market leader in providing scalable solutions for WordPress. We recommend choosing a host who has built its hosting stack and solutions-oriented services specifically to address the complex scaling, security, and performance needs of the world’s biggest brands. Small businesses using shared or VPS hosting typically use caching plugins and Content Delivery Networks (CDNs) to optimize page speed. This provides faster loading times for international visitors. Managed WordPress Hosting can take care of all that for you. For example, PressCACHE technology is a global WordPress acceleration system. It works much like a CDN, but was designed specifically for WordPress page output. It handles the server-level caching of your site content to speed up the delivery of your pages. All you need to do is turn it on, then sit back and enjoy the speed. PressCACHE is also responsible for globally serving your content from one of Amazon’s data centers in the United States, Asia, and Europe. It routes the requests for your website to the global Point of Presence (PoPs) servers closest to the user. This shortens the distance between visitors and your website, speeding the load time of your site to a global audience. Managed WordPress Hosting is essential when flexibility, scalability, and support are paramount. 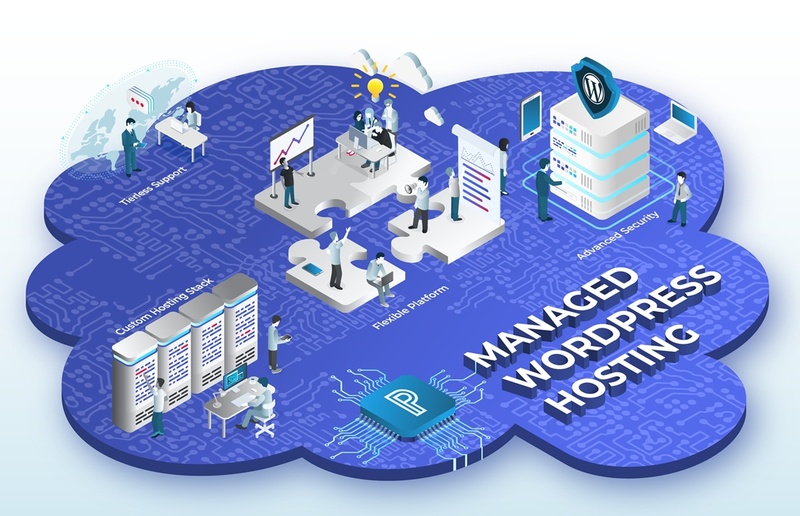 If your business doesn’t have the in-house capability to manage all aspects of your site’s security, performance, and more, Managed WordPress Hosting is an ideal solution. Ultimately, it’s about making the right choice for your business. Make sure you find the best tools for your business to succeed online. Interested in Managed WordPress Hosting? We’re pros. Get in touch to learn more about how Pagely can help your business. Jerry Peres 14 days, 10 hours ago. Are Conversational Interfaces the Future of Websites?